Veterinary specialists are veterinarians who have advanced training in various veterinary medical and surgical disciplines. To become a board certified specialist, a veterinarian must complete, at a minimum, four years of veterinary college, a one year internship, and two to three years in a residency program. Finally, they must pass a series of rigorous examinations. Currently, there are 40 distinct veterinary specialties that range from anesthesiology to zoo medicine. 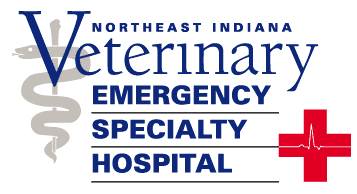 You and your pet may be referred to a veterinary specialist if diagnosing or treating your pet’s health problem requires specialized equipment and/or intensive medical care. The specialist’s expertise complements that of your veterinarian and it is critical that you, your veterinarian and the veterinary specialist work together to provide the best care for your pet. Veterinary specialty practices are an extension of your primary doctor so they do not usually provide wellness care such as vaccinations, spays/neuters, etc. Specialties currently offered at NIVES include Cardiology, Internal Medicine, Rehabilitation, and Surgery. To learn more about individual specialties or find a specialist in your area please visit vetspecialists.com.